Dr. Chevalier is a native Washingtonian who has been in the practice of Allergy, Asthma, and Immunology for almost 30 years. 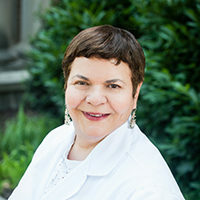 She brings a wealth of knowledge and experience in treating patients with allergic diseases and asthma. She has also performed research studies in allergies and asthma. She is Board Certified in both Pediatrics and Allergy/Immunology. The Allergy and Asthma Office of Denise Chevalier MD, PC is conveniently located in Upper Marlboro, MD.